For the second time this month, U.S. Customs and Border Protection officials say a man was arrested at JFK Airport for having packages of cocaine taped to his legs. U.S. Customs officials say they found the packages taped to Mayobanex Ruiz Gomez's legs during a physical search. According to CBP officials, the packages weighed approximately five pounds and had an estimated street value of more than $83,000. 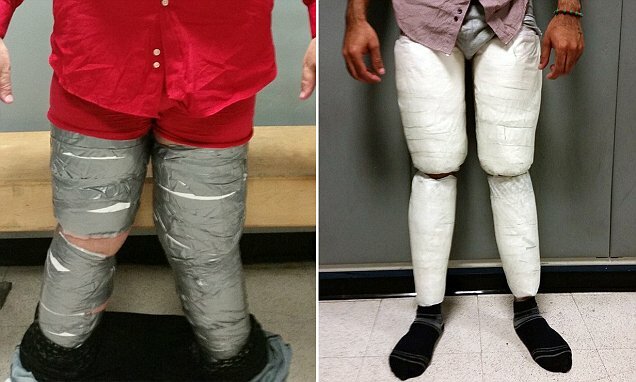 CBP says a similar arrest happened on March 4, when Juan Carlos Galan Luperon, a U.S. citizen, was found with about 10 pounds of cocaine taped to his legs at JFK after a flight from Santo Domingo. Gomez is a citizen of the Dominican Republic. He arrived at JFK on a flight from Santo Domingo. He faces federal narcotics smuggling charges.